When you think of luxury car brands, Rolls-Royce is sure to be high on your list. The storied British company has a long tradition of building expertly crafted, bespoke vehicles for the world’s most discerning and successful men and women. 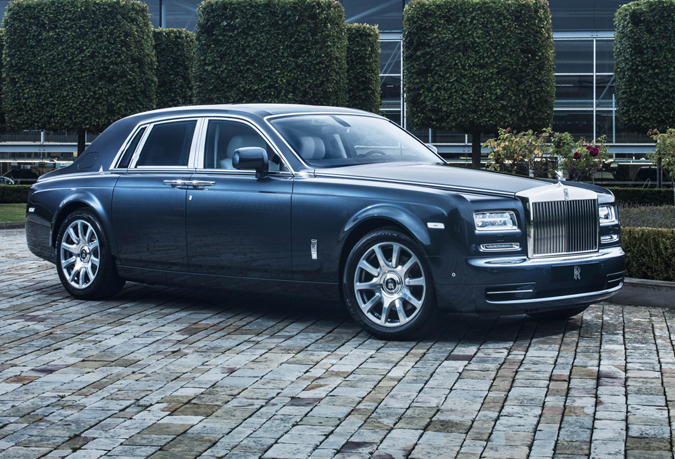 Rolls-Royce Motor Cars continues this tradition with the unveiling of The Phantom Metropolitan Collection. The Phantom Metropolitan Collection pays homage to the world’s great metropolises through the meticulous application of marquetry – the art of inlaying small pieces of wood veneer to form decorative motifs. When open, the Phantom’s signature picnic table presents occupants with an elevated view of the city, created through the expert application of 500 individual wood veneer pieces. 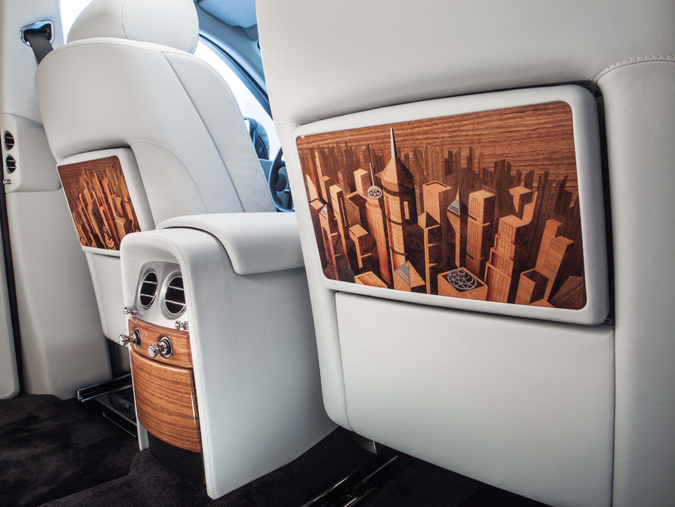 The cityscape theme extends beyond Phantom’s many wood surfaces. A specially developed Aetherius Grey leather color was created to echo the color palette of the modern city while 6,800 two-tone stitches to the central rear seat flutes depict an abstract image of a skyscraper. A specially developed Bespoke clock extends the theme to the front of the car. For the first time in the marque’s history, a rotating bezel expressing 24 of the great cities of the world and their time zones adorns the central console of a Rolls-Royce vehicle. The Phantom Metropolitan Collection features a unique exterior hue, Darkest Tungsten, inspired by city skylines finishes. However, the full palette of 44,000 colors is available to those commissioning a car from the Phantom Metropolitan Collection. If these colors don’t work for you, the Rolls-Royce craftspeople will create a perfect match of any color you wish to replicate. The exterior is completed with a hand-applied coachline that depicts an abstract silhouette of modern skyscrapers. And of course, you will get all of the comfort and luxury you expect from a Rolls-Royce. Hurry up and get yours because Rolls-Royce plans to make only 20 of these beautifully crafted cars.